The Nitron High-Temperature Automated Digestion and Dispensing system is designed for routine and customizable methods that require heating up to 400°C. Our Nitron does High-Temperature Automated Sample Digestion and Dispensing for laboratories. It is designed for routine and customizable methods that require heating up to 400°C. Hence it is ideal for automating applications involving acids like sulphuric and phosphoric acid. The six independent reagent lines reduce priming operations, thus increasing dispensing speed and minimizing cross contamination. 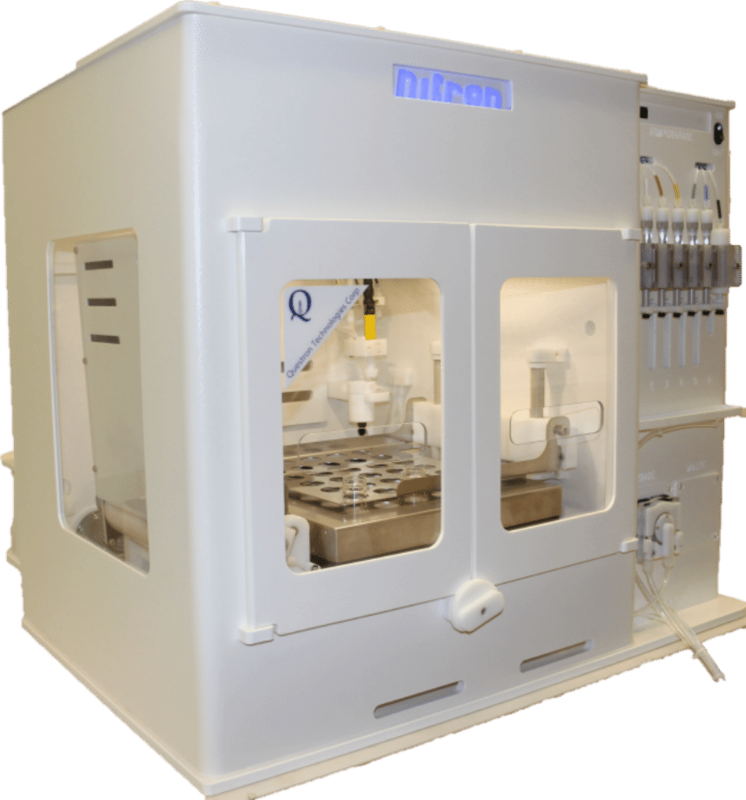 Nitron has an all-plastic fume hood, thus providing a safe environment by reducing user contact with harmful acid fumes and hot samples. Nitron software provides complete control and flexibility over the automation. The ease of method development allows users with unique samples and processes to customize the system for their applications.